Who are you? I am Karen Botha, mother of two wonderful teenage boys, owner of two gorgeous Labradors & Director of the Powell-Cotton Museum, Quex House & Gardens at Quex Park. I am passionate about wildlife conservation & am proud to advocate the work of conservation heroes here in the UK & in Africa who’s combat against poaching & wildlife crime are inspirational. I am also proud of the role that the Powell-Cotton Museum can, & has played in this fight. Can you tell me about your work / role at Powell-Cotton museum? I was brought in to the Museum by the Board of Trustees who recognised that whilst the day to day management of the collections, education & gardens departments are of enormous importance, the management of the commercial aspects of the business are critical for the Museum to become a resilient & sustainable institution. It is fair to say that many independent Museums are under enormous financial pressure with visitor’s purses being squeezed, price increases on services & a general slow-down in visitor numbers. Smart business has become a priority for Museums who now need to strongly compete for their share of the market & operate as commercial enterprises in order to survive. Ultimately, staying open for visitors to enjoy the collections & the continuation of important research & academic projects that takes place in our Museum can only continue if the figures add up. Like any business, the commercial & professional aspects of the institution have to be solid & the business strategy & forward planning must make sense. That’s my job. We don’t receive core funding like many other Museums so we have to work hard to earn our own keep. Business development, building capacity & strategic change is what I do. Ultimately it is my job to ensure that the Museum is match fit, that we have best professional team in place to work with our world class collections & that we are strong enough to grow & flourish despite harsh economic times. If the Museum thrives, the great conservation & educational work that takes place by using & researching our natural history collections continues, & I get to use my business skills in the fight against wildlife crime & prevention of species at risk of extinction. That means such a lot to me. How old is the museum building and house? Major Powell-Cotton’s ancestor, John Powell bought the house & adjacent farm as an investment in 1777. His nephew, John Powell Powell (1769-1849) demolished the original mansion, replacing it with an elegant Regency home. 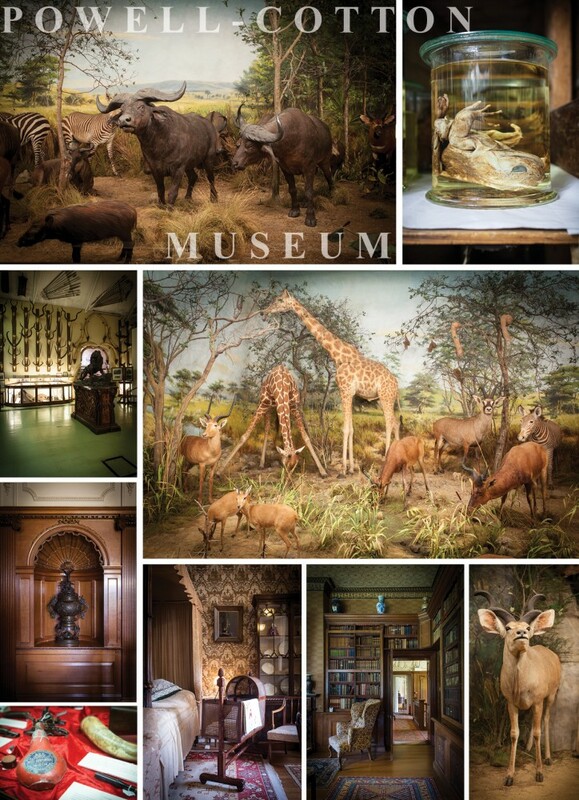 The Museum had its origins in a pavilion built in the garden in 1896 to house the growing collection of natural history gathered by the young Percy Powell-Cotton on a series of amazing trips to the wildest areas of northern India & Tibet. Many subsequent trips to Africa added to the collections &, inspired by his lifetime of travel & adventure, Major Powell-Cotton created our unique Museum to reflect the experiences of his travels & show the world to people at home in England. Following the death of Major Powell-Cotton in 1940, his son Christopher constructed additional galleries to display the family collections of archaeology, ceramics & weaponry. 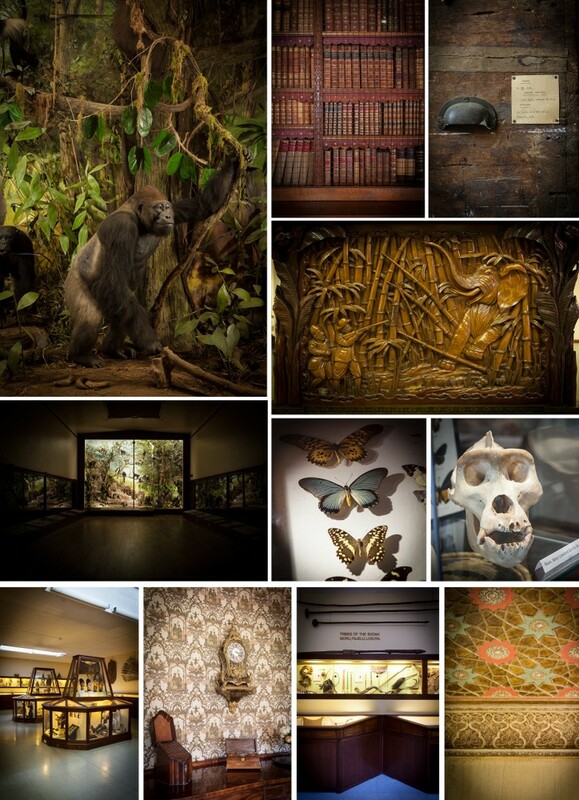 These galleries link physically with the ground floor suite of rooms in Quex House. The Museum now comprises eight galleries displaying many significant & world-class objects, many equal in importance to those held in national collections. What unusual / interesting features are still intact in the building? As you would imagine, there are many interesting features intact in both Quex House & the historic Walled Gardens. Original fireplaces, bespoke paneling & hand crafted ceilings to name just a few. Whilst collating archive material for the museum what interesting stories have you discovered about Powell Cotton & his family? We are extremely fortunate in that our Archivist has worked with our archives for a number of years & there is rarely a week goes by without her discovering something new about the collection, Quex Park or the family’s social history. Our Archives are a fascinating & compelling part of the collection & they are what make the Powell-Cotton Museum so special. A strong team of volunteers work tirelessly in deciphering beautifully hand written letters & documents on fragile paper with many hidden gems hidden amongst pages & pages of text. Just last week, a volunteer was working on some documents relating to a member of the Powell family who was involved in a fatal duel, years after duels had been outlawed in Great Britain. What is the most important item(s) in your collection? I couldn’t possibly point out a single object! Scientifically, the primates, skeletal material and skins are significant in terms of their value to future conservation and wildlife preservation. The skins contain DNA markers, which are of huge importance. Of equal significance, the ethnographical collections are outstanding in their breadth and to helping us in our understanding of the complex lives of originating communities and African cultures. Our gardens contain a historic and significant Walled Garden with a variety of glasshouses including a very rare melon pit. Our Head Gardener is working hard to record the unexplored areas below the glasshouses and to put together a strong case for Heritage Lottery funding to bring the structures back to their former glory whilst maintaining their integrity & historic importance. Apart from anything else though, my very talented team would never forgive me for being too specific, such is the diversity of our collections. In addition to the natural history collections, incredible archives, stunning porcelain, objects d’art & antique furniture are just a few of the other interesting pieces on display at the Museum. Which museum object(s) makes this museum unique? Without question, our Museum is best known for its diorama, the animals & the quality of the taxidermy in the first three galleries. The scale of the exhibits invoke a spontaneous reaction from all who visit, whether an academic researcher or a member of the public. They truly are memorable. What far-flung places have parts of the collection come from? Major Powell-Cotton predominantly travelled to & collected from Africa but he also visited exotic countries such as China, Tibet & Northern India as part of his World Tour. Gallery 7 & 8, the Oriental Room & Quex House are filled with interesting pieces & objects d’art from Eastern Asia. What is the most recent object in the museum? Unlike many other Museums, our Museum does not collect from other Museums or the public. We are often offered wonderful objects by members of the public who are left objects as part of an inheritance but as space is at a premium, we generally have to decline loaned items. However, if an object is offered to the Museum that entirely fits within the timescale that Major Powell-Cotton was travelling & collecting, & fits the overall theme of our current collection, our Collections Manager may be tempted & we will take the object into the Museum. Nothing has been taken in since I have been in post. What important projects is the museum involved in that visitors might not know about? Our Museum attracts academics, scholars & conservationists from institutions all over the world & we are lucky enough to have researchers working with our incredible natural history collections virtually every week of the year. Much of the work that takes place in our research spaces involves our Primate Collection, one of the parts of our collection that our Museum is best known for. Collaborations with eminent Universities & organisations who use our scientific collections in the fight against poaching & wildlife crimes are incredibly rewarding to me personally. As a passionate supporter of the preservation & conservation of wildlife & communities in Africa, it is pleasing to know that this collection can be used for such good with tangible outcomes. This vital conservation work that the Museum makes possible is little known by our visitors but we are working hard to get the word out there. We are proud to be involved in many interesting projects with national & international well known institutions. Our Collections Manager is currently working hard on a new and inclusive catalogue system which will ultimately result in making our collections globally accessible online – from here, the importance of the collections can be shared across thousands of communities, giving the collection relevance & longevity forever. You can read about some of the interesting projects we have been involved in on our website. We have currently appointed 2 new members of staff to run an exciting 2 year Arts Council England funded project called Securing the Future of Our Past, which aims to diversify our audience & make our collections more accessible to the public. Central to this project is the redevelopment of one of our galleries, which will be transformed into a space where anyone can come & research our collection, have hands on experiences with our handling collection & see objects from our collection that have never been on show before. Which is the oldest diorama in the collection? Gallery two is home to a diorama of part of the Himalayas (difficult to fit the whole range in). It dates from 1895 & is possibly the oldest unchanged room sized diorama in the world…which makes it rather special. What’s the expected lifespan of the taxidermy in your displays? Given the right conditions the taxidermy will last forever, however those conditions include quality lighting so not to fade them, proper temperature control so not to split them, proper humidity so not to rot them & proper pest control so they do not get eaten. Short answer….they will last as long as the roof lasts, which is why we are always looking for funding to help us protect the collections. Taxidermy is a difficult subject for people to understand. Why do you think Powell-Cotton was so passionate about his shooting expeditions and bringing these trophies home with him? Major Powell-Cotton used to meet the taxidermy at the railway station in Birchington as it arrived from being made in London. He would contact the local school who would join him on the platform & there he would unwrap the specimen and tell them about the land it lived in & the stories he had of his travels. It is pretty clear that education was always at part of what he was doing, as well as a long term aspiration to preserve specimens for future generations to research & learn from. Do you ever get negative reactions to the large display of guns & taxidermy in your collection? Yes, but less than you might imagine. Of course, our collection generates much discussion with many different points of view. It is our view that generating discussion and provoking feelings and subsequent discussion is the role that Museums should play and we take this responsibility seriously. Our Front of House team works hard to ensure that visitors understand why this collection is still relevant and important and is not just a trophy collection. How would you like to see the Museum develop in the future? That’s an easy one. Our Museum must develop into a professional & dynamic institution that actively seeks partnerships with other institutions, Museums & organisations in order to gain credibility & long term relevance. We must work hard to attain financial stability & push all of the boundaries in terms of income generation & fundraising. Sustainability, resilience & a long terms aspiration to develop a centre of excellence for the study of world cultures must be at the core of all that we do in the next five years. The Trustees & I believe that with the current team of staff & volunteers in place, we are set on a course to succeed! Do you have any special events coming up at the museum? We maintain a very dynamic & diverse events programme which is designed to attract our local demographic as well as those from further afield. Our range includes activities delivering interest to the heritage & historical aspects of our business as you would expect but we also deliver conservation talks, garden & outdoor events & of course, seasonal events such as Quexmas, our ever popular Christmas Craft Fair, this year held on Sunday 24th November. Our website is always kept up to date so please visit for more information.